As a yoga teacher, I always intended to study nutrition to go alongside my teaching. But as I looked around, none of the nutrition courses “grabbed” me in the way the Eating Psychology course did – they just didn’t ring true. I didn’t want to be in the business of telling people what to eat. But the philosophy of the IPE matched that of my yoga school – teaching people to be the general managers of their own bodies seemed like the right thing to do to me, rather than prescribing diets. So I went for it! 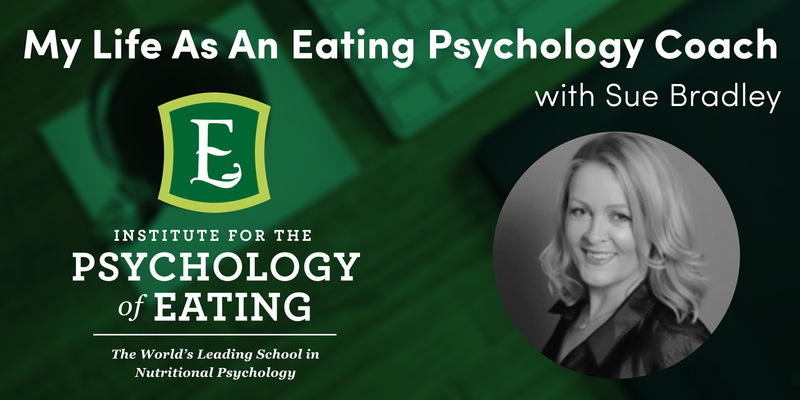 I love being an Eating Psychology coach because I am able to help so many different types of people, and everyone is so interested in what I do, whether I’m working with them or not. It’s a fascinating subject, and I enjoy it very much. I see private clients on a 1:1 basis both in person and on Skype. I also offer courses in food education and Eating Psychology workshops. I don’t really specialise as such, but I do enjoy getting people off junk food by getting them to really understand what’s in it, changing their habits, so they no longer have the need or desire to eat “food related products”. I have worked with people in their 50’s who have just been diagnosed as pre-diabetic, and also with younger people who are trying to lose weight and who are “fed up” with dieting. The course was very thorough, and I felt very well prepared to start working with clients just as soon as I graduated. Sometimes I had to research particular medical conditions that my clients presented with, but the information from the Training can be mapped over to any situation. I really liked both the video and audio aspects of the Training – the audios meant that I could listen in my car or on the move – then watch the videos when I had time to sit down and study. The live event was great and the staff are quick to respond to any queries throughout the course, as well as being very responsive on the Facebook group. Since qualifying I have had a steady stream of paying clients, which has been a useful addition to my life both professionally and financially. Becoming a coach has made me value the gifts and knowledge that I have to offer to others in a way I had not previously appreciated. I am currently becoming very interested in producing short video blogs – vlogs – and I have begun to work with a local hospital who is keen to get this knowledge out to their staff. It’s a really interesting and unique training – easy to access and you can study at times that suit you. BIO: Sue Bradley is a certified Eating Psychology Coach and yoga teacher living in the UK. Sue specialises in working with those who would like to rid themselves of the guilt they feel around food as a result of years of dieting and helps them to lose weight in a happier way, free from rules and restrictions.